Crazy Dumplings II: Even Dumplinger - Kindle edition by Amanda Roberts, Cherith Vaughan. Cookbooks, Food & Wine Kindle eBooks @ Amazon.com. 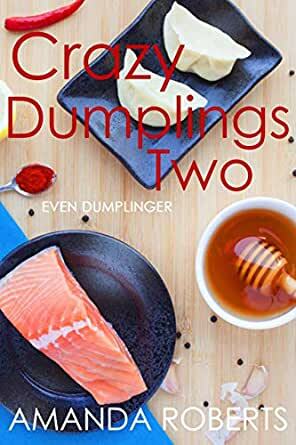 Crazy Dumplings is back and is even crazier than ever! Dumplings from around the world and the most unique combinations of ingredients come together in Crazy Dumplings II: Even Dumplinger. From Thailand, Vietnam, India, and of course across China, traditional snacks are given a new twist when stuffed into dumpling wrappers. Sweet, savory, spicy, and all delicious, Crazy Dumplings II: Even Dumplinger will take you where your taste buds have never been before! "Another lovely collection of both traditional and non-traditional dumplings for the average home cook." "Creative fillings and tasty recipes." "There are a lot of innovative dumpling recipes here that I wanna try out with some friends as well!" Want more of Amanda Roberts? Amanda Roberts has done it again. Another lovely collection of both traditional and non-traditional dumplings for the average home cook. With new recipes included in the second dumpling cookbook Amanda Roberts broadens the cooks dumpling repertoire again. Still providing a cookbook with easy to obtain ingredients, simple to follow recipes, and the addition of from scratch sauce recipes for some of the more adventurous cooks. 4.0 out of 5 starsYum! Who doesn't like dumplings? Creative fillings and tasty recipes. This is a follow up to the author's first dumpling cookbook. Like the first book, this is well written. The introduction is thoughtful and presents as a primer about dumplings and the basic recipe. Inside the book is divided by three sections, Savory, Sweet, and Sauces. The recipes are inventive, some out of the box that had me shaking my head. But, could be fun to spend a Sunday afternoon experimenting. This is another worthwhile book to add to your cookbook collection. I love cookbooks new recipes finding new ways to make things. Who doesn’t love dumplings, what an interesting book with so many different recipes from around the world. She gives easy step by step instructions that are easy to follow. It is a great little recipe book that I look forward to using for years to come. 5.0 out of 5 starsI never knew there were so many types of dumplings! Amanda Roberts has given us even more dumpling recipes in this new cookbook! I’ll admit that I have bought several bags of dumplings in my lifetime—but no more! Amanda teaches how to fill, fold, and cook dumplings. My husband adores Chinese dumplings and I’m glad I can now make them for him. The easy Chinese chicken dumplings are my favorite so far. But I can’t wait to make the “CHEESY POTATO CRAWFISH DUMPLINGS” in celebration of Mardi Gras and the cola Chinese chicken dumplings for Lunar New Year. I tried a few of the recipes and they were super good :) I recommend if you enjoy Asian cuisine or dumplings haha. There are a lot of innovative dumpling recipes here that I wanna try out with some friends as well! 4.0 out of 5 starsEven better than the first book! Amanda Roberts does it again! This second dumpling book is even better than the first. 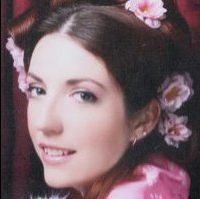 This time she included more international recipes and sauces to tantalize the tastebuds. I highly recommend this book.